(CNN) — Twice a year, everyone on Earth is seemingly on equal footing -- at least when it comes to the distribution of daytime and nighttime. On Saturday, we enter our second equinox of 2018. If you reside in the Northern Hemisphere, you know it as the fall equinox (or autumnal equinox). For people south of the equator, this equinox actually signals the coming of spring. Folks right along the equator have roughly 12-hour days and 12-hour nights all year long, so they won't really notice a thing on September 22. People close to the poles, in destinations such as Alaska, go through wild swings in the day/night ratio each year. They have long, dark winters and summers where night barely intrudes. But during the equinox, everyone from pole to pole gets to enjoy a 12/12 split of day and night. Well, there's just one rub -- it isn't as perfectly "equal" as you may have thought. There's a good explanation (SCIENCE!) for why you don't get precisely 12 hours of daylight on the equinox. More on that farther down in the article. Where does the word 'equinox' come from? From our CNN Fast Facts file: The term equinox comes from the Latin word equinoxium, meaning "equality between day and night." That time converts to 9:54 p.m. ET in the United States. Here's a handy online tool to convert UTC to your local time. Why does fall equinox happen? The Earth rotates along an imaginary line that runs from North Pole to South Pole. It's called the axis, and this rotation is what gives us day and night. However, the axis tilts at 23.5 degrees, as NASA explains. That positions one hemisphere of the planet to get more sunlight than the other for half of the year's orbit around the sun. This discrepancy in sunlight is what triggers the seasons. Since the summer solstice in June, days have been progressively becoming shorter in the Northern Hemisphere and the nights longer for the past three months. Welcome to fall equinox! What did our ancestors know about all this? A 'superhenge' discovered near Stonehenge in England is believed to have been built 4,500 years ago. CNN's Erin McLaughlin reports. Long before the age of clocks, satellites and modern technology, our ancient ancestors knew a lot about the movement of the sun across the sky -- enough to build massive monuments and temples that, among other purposes, served as giant calendars to mark the seasons. -- Megalithic Temples of Malta: These seven temples on the Mediterranean island are some of the earliest free-standing stone buildings in the world, going back 5,000 to 6,000 years ago. At Hagar Qim and Mnajdra temples, the semicircular chambers are aligned so that the rising sun on an equinox is framed between the stones. -- Jantar Mantar (New Delhi, India): Much more recent in origin (1724 and 1730), these buildings from the end of the Mughal period are astronomical observatories. Crowds will gather here each equinox (though they make for a fascinating tour any time). What are some festivals, myths and rituals still with us? All around the world, the fall equinox has weaved its way into our cultures and celebrations. In Greek mythology, the fall equinox marks the return of the goddess Persephone to the underworld for three months, where she is reunited with her husband, Hades. Chinese and Vietnamese people still celebrate the Harvest Moon (also known as the Mid-Autumn Festival). Lanterns line the streets as people give thanks, watch the moon and eat. Round pastries called mooncakes are a Mid-Autumn Festival favorite. It's held on the 15th day of the eighth lunar month on the Chinese calendar. That's Monday, September 24, in 2018. All about mooncakes: Full of flavor -- and calories! Are the Northern Lights really more active at the equinoxes? It turns out the autumnal equinox and spring (or vernal equinox) usually coincide with peak activity with the aurora borealis. 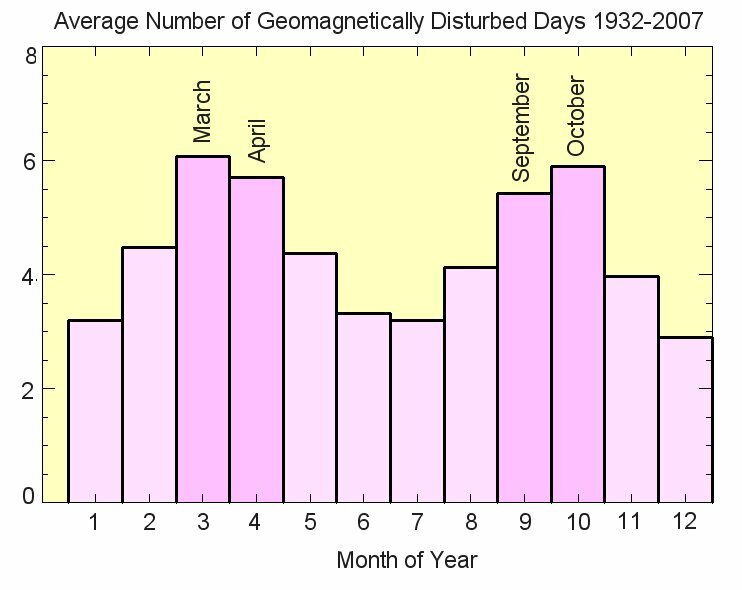 These beautiful, fascinating geomagnetic storms tend to be most active in March and April and then again in September and October, according to 75 years of historical records analyzed by solar physicist David Hathaway of the Marshall Space Flight Center in Huntsville, Alabama. So why isn't the equinox exactly equal? It turns out you actually get a little more daylight than darkness on the equinox, depending on where you are on the planet. How does that happen? As the US National Weather Service explains, the "nearly" equal hours of day and night are because of the complex way a sunrise is measured and the refraction of sunlight in our atmosphere. For the truly equal day/night split, you have to wait some days after the official equinox. That's called the equilux. In 2018, that will happen on September 28.